Considering a rental car to get to Vail or Breckenridge? Visiting the Vail resorts can be a blast but do you really need a rental? Well it depends on what you are doing in the mountains. If you are traveling during the ski season you may avoid a rental car if you do not want to drive in snowy conditions or do not have a proper area to park the vehicle. Are you staying in a private home? If you are staying at a private home having a car can be very useful in the summer or winter. It’s nice to be able to drive into town whenever you want and hit the grocery store on your own terms. One issue with taking a shared shuttle like Colorado Mountain Express is that you have to leave at set times that may not be convenient for your group. Also, stopping for groceries is not possible on a shared shuttle so you have to take the bus. Having a rental at a private home is far more convenient and typically recommended especially for longer trips. Colorado Mountain Express to the lodge or private home? If you are staying at a lodge, many times a car can be more of a hassle than a convenience but it depends on your situation. Many high end lodges in Vail and Breckenridge have courtesy shuttles and SUV to take you to the store when needed. They can also many times have food delivered to your door if needed. Don’t forget you must also factor in the cost of parking when staying at a lodge. Many times lodges charge for parking especially when staying in Vail Village. Should I take Colorado Mountain Express (CME) or rent a car? As stated previously in this post, it really depends on what your plans are once in the mountains. If you want to be able to visit other resorts or easily access the store, a rental can be very useful. If you are simply going up and will be staying in the resort area the entire time you may be able to take a shuttle or limo service without any hassle. Don’t forget to check shuttle times before committing to a shared shuttle service. What type of rental cars are best for travel to Vail, Breckenridge, and Beaver Creek? You can rent whichever car you please. 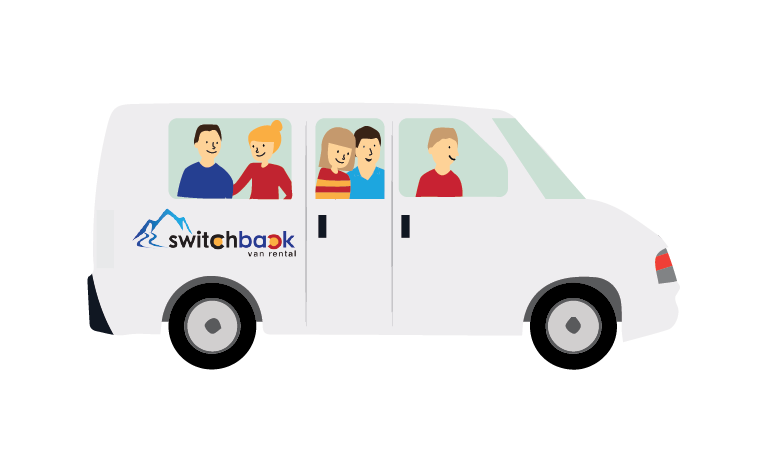 If you have a large group we of course recommend using our van rental service as you can fit more passengers in one vehicle and everyone can travel together. There are also the benefits of custom seating configuration and snow tires with Switchback when traveling during winter months.